Accepting responsibility has two basic components. Let’s discuss the first one, accepting personal responsibility – which is taking ownership of your own behavior and the consequences of that behavior. Until you accept responsibility for your actions or failures, it’ll be very difficult for you to develop self-respect or even have the respect of others. It’s a simple truth that all human beings (young and old alike) make mistakes and poor choices. The same goes for when we fail to act when we know we should. There are times when we all look the other way when we know the right thing to do is to take helpful action. So, you should first understand one thing – you’re not the first person (nor will you be the the last) who has fallen short in the personal behavior department from time to time. The second component of accepting responsibility is indirect responsibility. It involves moving beyond yourself and taking action to help people or situations around you that call for assistance. 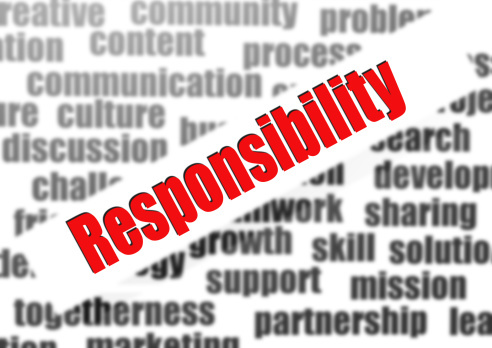 While this component – indirect responsibility – may not rise to the level of personal responsibility, it does reveal something about your character and the type of person you are. Clearly, there are many people who’ll walk right by the person who is down in the street, or down on his luck. However, there are others—thank goodness--who’ll quickly stop and try to help. It’s not hard to determine which of these two actions is the most responsible choice. The real difference between being responsible and being irresponsible is an indication of how effectively we’re managing our lives when the opportunity to make a good or bad choice presents itself. Accepting responsibility – both personal and indirect responsibility – is one of the most important factors in defining a person’s true character. When that responsible moment comes, what you do – or don’t do – is an indication of the type of person you really are. 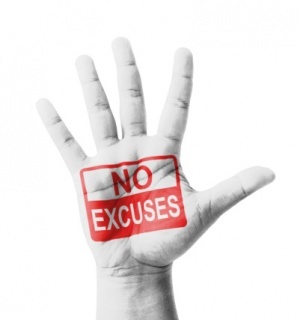 Failing to accept personal responsibility may work to your advantage on occasion or in the short term. For example, you might get away with keeping your mouth shut about something that you’ve done, or even blaming someone else for your misdeeds. You might not face consequences for your wrong actions...at the time. However – make no mistake about this – eventually this poor choice will catch up with you and, it’ll typically cause more pain for you down the road than if you’d stepped up to the situation, took responsibility for it and honestly said, “I did it”. Over time, failing to accept responsibility has severe consequences. First and foremost, it has a devastating effect on your own mind and heart. When you know you have failed to take responsibility for something that you should, it’ll begin to bother you, to eat at you, little by little. Pretty soon, you’ll feel very small inside. That may sound like an exaggeration, but it’s the truth. As we discussed in the post titled How to Respect Yourself and Others, taking responsibility for your own actions makes life work better. Remember, self-respect is the worth or value you place on your own life. Therefore, one of the consequences of continuingly failing to accept personal responsibility is that you eventually guarantee that you’ll view your life as having little to no real value. In our R-E-S-P-E-C-T series, we also discussed ways in which you can gain the respect of others. This provides value to your life – in your own eyes as well as the eyes of others. There’s a good chance that when you avoid accepting personal responsibility, someone will know that you’ve failed in this way. In other words, some other person may know that you’re responsible for the wrongdoing or poor choice, and when they see you fail to accept responsibility, they’ll lose all respect for you. If this happens on a frequent basis, you’ll never gain the respect of others that you hope to have one day. Sometimes, especially when we’re young, we don’t always see the long-term effects of our behavior. But, make no mistake, accepting responsibility – both personal and indirect – is a major factor in receiving the respect and admiration of those around you. Accepting responsibility is not only the right thing to do, but it’ll pay more long-term dividends than you can now imagine.